UBIOME Gut EXPLORER and MEBO. Discount should apply internationally also. Purchase should give $8.90 discount. note : for Non-USA there are shipping costs. Receive : Ubiome add ship cost. Return : Need to arrange yourself, but can use cheapest airmail (e.g. postal service). No special return service needed (i.e. can be a few days). 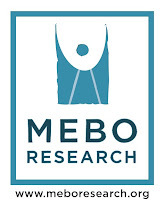 MEBO has arranged for a 10% discount for the UBIOME GUT EXPLORER (single purchase) service. This is a good way of getting an idea of the current state of your gut microbiome. This means you can send your details to the current study Danny is doing as well if you want, once you get your results. Gut Explorer subscription (not recommended anyhow). Around January 2018 Ubiome DISABLED much of the data in GUT EXPLORER compared to SMARTGUT, including raw download, but this data now seems to be restored. So both are as good as each other for information yielded. MEBO helper Prof Irene Gabashvili is conducting a study on the Ubiome results in relation to the malodor community.